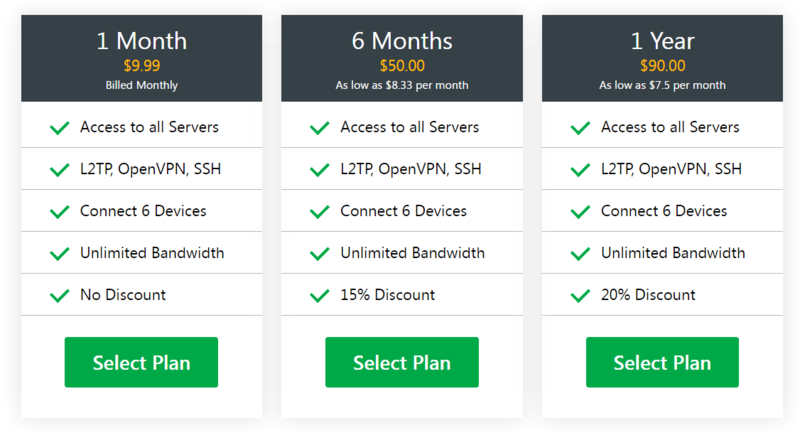 is b.VPN worth your money? Read on for the full review. 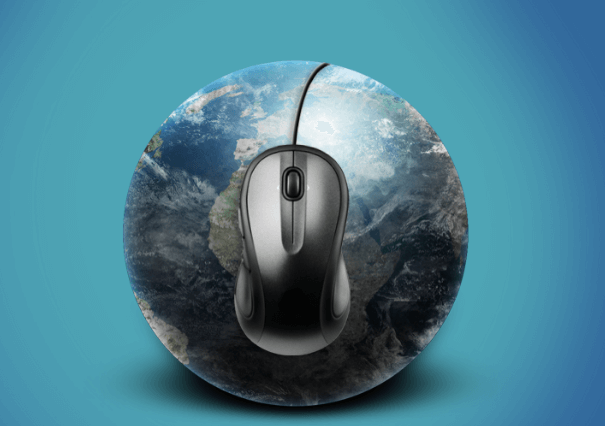 b.VPN is one of the most professional-looking VPN service providers in the market today. The company is based in the Netherlands and has quite a number of features that puts it ahead of the competition. The real question is, however, by how much? Can a VPN service survive in the VPN industry by offering features such a 24/7 customer support and an above-average anti-censorship technology? In other words, will b.VPN please new users? Or will new users have to go to the established industry powerhouses like IPVanish, StrongVPN, and PureVPN? Let’s start with pricing first. b.VPN is different from a lot of VPN service providers in the sense that, essentially, it offers just one plan. The price of the plan changes according to how long you subscribe to b.VPN. A one-month b.VPN subscription will cost you $9.99. If you increase the duration of your subscription to a year, then you only have to pay $7.50 per month. Not a dramatic decrease in the overall price but still, something is better than nothing. And since the price is the first thing potential customers looks for, we’re going to give you a warning right now. The official website of b.VPN is very annoying. Because there is a pop-up banner on every corner of the official website. Obviously, you will think to yourself right now that what does the pop-up notification say? As you might expect, it informs the user (multiple times) that b.VPN is on discount at the moment. If you’re lucky enough to see one of these irritating pop-ups, then consider it a blessing. Because you can simply click on the discount link and sign up for b.VPN for just $36. On a monthly basis, that comes down to about $3 per month. There is also a trial period but we thought we shouldn’t really mention it. You can download the VPN application software from the official website without paying any money. But the trial period lasts for only an hour. Which is, you know, not even short. The only positive thing about the trial period is that you don’t have to provide any payment details. So you can hop over to the official website right now and take b.VPN for a ride. For one hour that is. From our experience, an hour is just about enough to confirm if the VPN service is in working condition or not. If you’re quick enough you can also go through some performance checks. Also, take note, that you can’t access all of the b.VPN features on the trial version. To get the real deal, you’ll have to pay for the real deal. There are a ton of features to talk about here. Some of them are useful. While others are not so useful. Let’s run down a list of the most important ones. You can connect up to two devices at any given time. If you’re using OpenVPN protocol or L2TP, then only one for each. What’s OpenVPN via SSH Tunnel? You don’t need to know anything technical to understand this feature. Basically, this features enables users to hide their OpenVPN connections inside a TLS/SSL tunnel. If you didn’t know already then, HTTPS also uses TLS/SSL encryption. Theoretically speaking, TLS/SSL tunnels make VPN connections very secure and indistinguishable from normal HTTPS traffic. Because any OpenVPN data that is wrapped inside an extra layer of TLS/SSL encryption is tough to break into. Even the most advanced techniques such as Deep Packet Inspection are unable to sneak through this TLS/SSL layer of encryption. IN other words, it is highly likely that someone will be able to detect OpenVPN encryption from the inside. As you can probably imagine, this feature is great if you are concerned about your privacy and anonymity. This also enabled b.VPN to not get blocked by other websites such as streaming websites and other geo-blocked websites like PCMAG and IGN. What Is The Smoke Tunnel Feature? b.VPN goes the extra mile when it comes to securing a user’s connection. It doesn’t just offer OpenVPN inside an SSH tunnel. b.VPN offers another technology that protects users from experiencing VPN blocks which have become regular occurrences in the online world. This new technique is aptly named SMOKE. Smoke Tunnel is b.VPN’s exclusive and custom protocol. And basically, it adds an extra obfuscation layer for each sent/received packet. According to the official sources, b.VPN Smoke Tunnel feature is extremely effective against VPN blocking agents. Of course, we’re talking about state-level players. Smoke Tunnel will protect users and help then evade the aforementioned actors. For more information about this new technique, you can always contact sales representatives at b.VPN. b.VPN says that the Smoke Tunnel technique is a polymorphic UDP tunnel which has an extremely wide range of capabilities to go through DPI. What that really means, is that Smoke Tunnel is the only kind of encryption that works reliably in regions such as China. Readers should also know that unlike Obfsproxy, Smoke Tunnel does work in China. Obfsproxy has not worked for almost a year now. Smoke Tunnel feature has advanced defense systems against entities such as The Great Firewall of China. The Smoke Tunnel technique throttles packets and can jump across a huge range of network IPs and ports with no disconnections. Moreover, this feature also has the facility of packet backup mechanisms for restoring packets that are corrupted by the Great Firewall of China. As you can probably tell, b.VPN staff is extremely confident that their new feature will continue to work in China for a long time to come. From our research, we have found out that what b.VPN is saying about Smoke Tunnel is actually somewhat true. With Smoke Tunnel turned on you can actually access websites that are normally blocked in China. Whenever we talk about security, we should also talk about Privacy. Both of these terms go hand in hand. In our b.VPN review, we found out that b.VPN allows OpenVPN users to chose between two levels of online encryption. One of them is the normal one. Which is, Blowfish-128 cipher along with SHA-1 hash authentication. Then there is the second encryption method which is generally considered to be the stronger one. It is AES-256 with SHA-256 hash authentication. As far as b.VPN is concerned, each OpenVPN connection is encrypted with RSA-2048 and let’s not forget the Perfect Forward Secrecy feature. You don’t need to understand what all these numbers mean. But if you do, there are a ton of resources online. For our purposes, it is more than enough to know that b.VPN encryption is satisfactory. If you choose the strong encryption option then the security goes beyond satisfactory, to good. The Problem With b.VPN Being Based In Netherlands. While it is great that b.VPN is not based in the US or the UK, the Netherlands isn’t exactly a VPN heaven either. In addition to that, the Dutch government also has its own form of surveillance programs which are pretty active. Of course, that still means that VPN providers in Netherlands don’t have to keep logs on their users. So just to be clear, b.VPN does not keep any usage logs. Unfortunately, the same cannot be said about connection logs. And of course, there is a difference. Privacy experts agree that these are not things users should be worried about. Some call these low level of log-keeping. That is, these logs don’t really store any vital piece of information on the user. But there are always users who are paranoid about security and anonymity. For those users, b.VPN could pose a problem. Because connection logs can be utilized by spying agencies to identify individuals who have predictable internet behavior patterns. This technique is called end-to-end timing attack. b.VPN allows torrenting on all its servers. The official website for b.VPN is modern and smartly built. It organizes all the information that is required by a new user very efficiently. Users don’t have to search for sections on how to sign up for the service or how to connect to b.VPN. We’ve already talked about the banner right? Worse, the banner is ever present on all b.VPN’s official pages. Of course, it offers a discount but there are better ways of letting users know of the discount offer. One area where b.VPN official website can definitely improve in, is the technical area. There is simply too little information. They are not straightforward about the fact that they keep connection logs. b.VPN official website does a great job of telling new users what isn’t allowed with their service. Hats off to the publicity department. The content on the official website is understandable but it is clear that b.VPN didn’t have a big budget for the writing staff. As mentioned before, b.VPN has 24/7 live chat support. This feature is a rare one in the industry so it’s nice to see a VPN service sticking to something useful for the customers. You can expect a quick response from the b.VPN team. Also, expect them to be polite and resourceful. If you have a technical question then that might change for you. Hopefully, you won’t have to go to their customer support because that usually means the VPN service isn’t working for you. We’ve already told you that you can download the b.VPN VPN client right now for testing purposes. The trial period is around an hour. After that, b.VPN will require you to sign up. The signup process itself is smooth through. Of course, we would want b.VPN to demand less personal information during its sign-up process. For example, it is no longer considered necessary to ask new users for their email address. It hinders the process of complete anonymity. And yes you have to provide a valid email address to register. Experienced users know that they can always make a disposable email account and later forget about it. But still, it would be better if b.VPN simply did not ask for the email address. As far as payment methods go, b.VPN offers several ones. You can pay through anonymous means such as Bitcoin and that’s all you really need to know. One other thing you should know is that paying through Bitcoin doesn’t turn you into a nobody. Because the VPN service provider usually knows your original IP address. There are no obvious repercussions but we just wanted to let you know the real deal. b.VPN works with a custom OpenVPN only Windows client. The only problem with that is b.VPN only allows one connection under such settings at any given time. The main interface is simple and not very flashy. It does what it is supposed to do, to say the least. The VPN application also has an Advanced Settings menu which gives the user some configuration options. You can change the encryption level and also select VPN protocol like OpenVPN via SSH Tunnel. The settings for Smoke Tunnel can also be accessed from the same tab. There is no kill Switch feature however. And we can’t help but wonder if b.VPN could have just put in a little extra work here and really push for a higher ranking in our b.VPN review with a feature like Kill Switch. There is just no way around it. The only exception to this rule is PureVPN which sometimes increases download and upload speeds. Apart from that, speeds vary on a lot of factors that have nothing to do with the quality of the VPN service. For example, the measured speed depends on the current network conditions along with the server you have chosen. The closer the VPN server is to your physical location, the faster the VPN service will be. If you select a VPN server that is located far away from your location then you will experience significant increases in latency rates and decreases in upload/download speeds. In other words, there is no one single comprehensive speed test for a VPN service. Moreover, the speed of a VPN service also depends on how strong the encryption level is. The higher the encryption level, the lower will be the speed. And test your VPN speed. In our b.VPN review, we found out that even though b.VPN performs reasonably well, it doesn’t push the best VPN service providers such as IPVanish and StrongVPN along with PureVPN or ExpressVPN. On the bright side though, b.VPN did not allow any IPv4 DNS leaks. It also protects users against WebRTC leaks. That holds true only for the Windows client though. Read our section on the Android application to know more about the mobile platform. b.VPN does not work with Netflix. If you try to use it on Netflix, the videos will simply not play. Using the SSH tunnel is not going to affect Netflix support or lack thereof. But b.VPN does work with other streaming websites such as BBC iPlayer. All you need to do there is to connect to a server that is located in the UK and you’re all set. If you do to the official b.VPN website then you can follow the tutorials/guides there to manually setup L2TP/IPSec and OpenVPN protocols for the aforementioned platforms. There are quite a few other settings as well. Such as L2TP for Linux users and people who are on Windows phone. In fact, b.VPN also provides .ovpn files which can be downloaded and then used on any given system. The only condition is that, the system should be able to support an OpenVPN client. As indicated before, b.VPN’s Android application uses the OpenVPN protocol. Because OpenVPN protocol is the most trusted and reliable VPN Protocol in the industry today. Not to mention that it is also the most secure of all VPN protocols. Some experts even recommend that new users should avoid using any other protocols other than the OpenVPN protocol. Coming back to the actual Android application, though, and you can clearly see why b.VPN has not made a name for itself just yet. Just like a lot of other VPN service providers, b.VPN does a lot of things well when it comes to app user interface. But it doesn’t do anything remarkable. And in the world of a hyper-competitive VPN market, that is simply not enough. In fact, we can say with confidence that each one of us must have seen better-looking VPN apps than b.VPN Android app. That doesn’t mean it isn’t any good. It just means that it isn’t something remarkable. To survive in this industry , you have to give people something that can’t be had anywhere else. b.VPN doesn’t do any of that. The only positive thing that can be said about b.VPN Android application is that it works. For some users, that may well be enough. The Android VPN app from b.VPN allows users to direct the OpenVPN connection via SSH tunnels. This is great for added privacy and anonymity. For what it’s worth, b.VPN Android application is the only app we know of that offers this feature. And since it is such a rare feature, b.VPN doesn’t even offer it in its iOS version of the app. 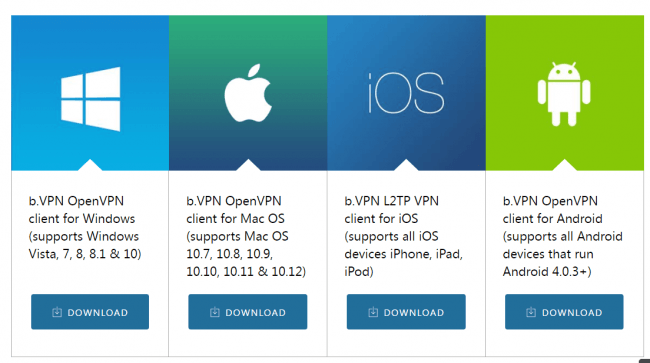 Otherwise, b.VPN could have targeted multiple markets with just one single piece of VPN app. As far as security is concerned, you can’t select the Strong encryption option using the Android app. Of course, not everyone would need such as strong encryption. In fact, we think that the Regular encryption, Blowfish-128 cipher along with SHA-1 hash authentication is more than enough. For most users that is. And as was the case with the Windows Client, the Android application also protects against DNS leaks. The app is also able to hold its own against WebRTC leaks. You didn’t read the whole review? This summary is written just for you. For those who have read the whole review, this section can act as a kind of recap of what b.VPN offers. Without a shadow of a doubt, the most prominent features of b.VPN are the impressive 24.7 customer support and advanced privacy technologies. We’re talking about features such as Smoke Tunnel which works incredibly well from within China and two encryption levels. b.VPN’s Android application is one of a kind though the official site doesn’t do a good job of communicating that fact to new users. b.VPN Android application is the only app in the market that offers VPN connection via an SSH tunnel. Users who reside in countries like China and Iran can benefit greatly by the features that b.VPN offers. All of these features make b.VPN almost immune to VPN block attempts. The OpenVPN connection through SSH Tunnel is b.VPN’s biggest strength. Smoke Tunnel works in China. Not the fastest VPN service you’ll ever see. Number of servers can definitely improve. The current number of 18 is on the lower side. Only two simultaneous connection allowed. And there too, you can’t connect both of your devices to OpenVPN connection. If you want to connect two devices, you’ll have to connect one with OpenVPN connection and the other with L2TP VPN protocol. b.VPN is based in the Netherlands and offers a solid VPN experience. It has a 24 our live chat support and some strong anti-censorship privacy technologies. With that said, there is a lot of room for improvements. It has to offer faster VPN servers. b.VPN also must clear up its log policy and increase the number of connected devices. Overall, b.VPN has a promising future.